For an overview of the Pappenheim and Mühsam families, click HERE. • Pinkus MÜHSAM (formerly PAPPENHEIM) (1737 - 28 July 1807) & Barbara (Berocho) JOSEPH JONAS ( - 14 August 1822) Pinkus took the family name MÜHSAM. His story, and links to his descendant families can be found HERE. 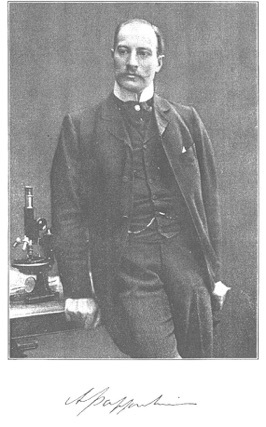 edited the hematology journal, Folia Haematologica, and wrote several books. in the field of hematology. More about him, in German, can be read HERE. • Simon PAPPENHEIM (1731 - 1819) The descendants of Simon can be found HERE. • Löbel PAPPENHEIM Löbel is discussed on THIS page, and possible descendants are found HERE. • Valentin PAPPENHEIM The descendants of Valentin can be found HERE. For more Pappenheims see the PAPPENHEIM II and the PAPPENHEIM III pages. 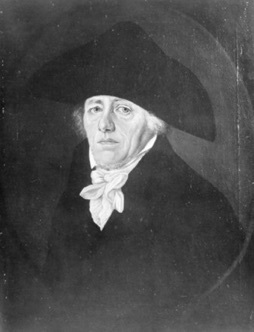 Seligmann Pappenheim’s son Salomon Pappenheim (1740-1814) became a well known Rabbi and scholar in the town of Zulz (in Silesia, now in western Poland and called Biala. See MAP). 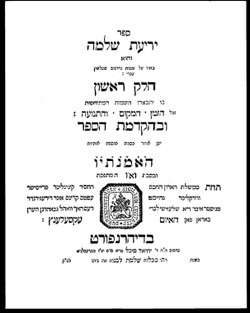 He was famous as a philologist [philology: the study of the structure, historical development, and relationships of language], and wrote many books on Hebrew grammar (see example of one below). A list (in German) of some of his works can be found HERE. The accuracy of the descendant list shown below is somewhat “iffy.” Two sons of Solomon are shown, Marcus and Seligmann. As discussed on the main PAPPENHEIM/MÜHSAM page, the source of most of the information on the early Pappenheims is the book, “Geschichte des Namens Mühsam” (History of the Name Mühsam), written by Siegfried Mühsam in 1912. In the book Siegfried lists Marcus and his descendants, but says he is not sure if Marcus was the son of Salomon or of his brother Löbel (he writes that “presumably” (vermutlich) he was the son of one or the other). He does not mention Seligmann. My source for Seligmann (the one born in 1768) is from a possible descendant who I am in contact with, who has a hand written family tree from her grandmother that lists Seligmann as the son of Solomon (with the correct dates), as well as having the descendants of Seligmann that are listed below. The portrait of Salomon, right, comes from the Salomon Ludwig Steinheim Institute, named after Salomon Steinheim who is listed on the BASSEVI page.